Treated pine paling fences are the most traditional type of timber fencing seen along Melbourne’s Frankston, Bayside & Mornington Peninsula suburbs. Commonly known as treated pine fences they offer a perfect solution for boundary dividing around the home that won’t break the budget. To give your home a unique look in your street, there are many extras that can be added during construction, from capping, exposed timber posts, a stepped style, solid plinths, letterboxes, through to matching driveway gates. Treated to offer long-term resistance against decay and other insects, it’s no wonder it is one of Melbourne’s most popular long lasting fence style. Our treated pine range doesn’t stop with the timber paling fence, we also build and design fencing using Pine Decking for a more featured design, a great alternative to Merbau feature fencing. 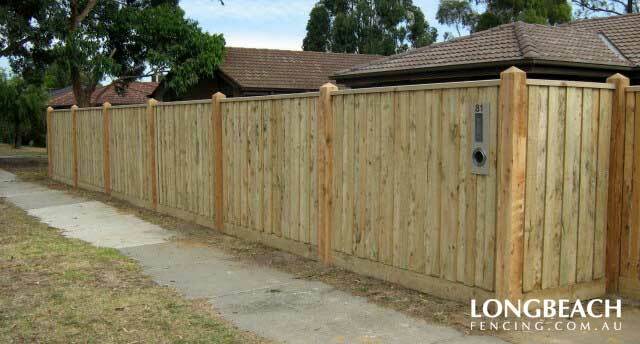 Radiata Treated Pine is one of the most commonly used timber products to build fences throughout Melbourne suburbs. It has been relied on for generations to provide dependable protection against termites and decay, extending the life of your fence. All pine products are cut from plantation grown forests in Australia and New Zealand. Pine has little natural durability compared with traditional native hardwood construction timbers. Therefore pine is treated to extend its service life. 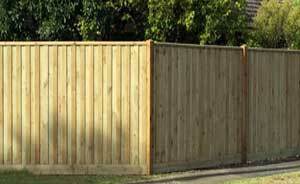 This enables today’s fencing timbers to have increased durability against decay and insect attack.